I’ve got a problem with the X-Men. Now, before you break out the torches and the pitchforks let me elaborate. I have a problem with the concept of Marvel’s X-Men. Originally created by Stan Lee and Jack Kirby (although I’ve always been suspicious of the “influence” on the concept by the novel “Children of the Atom” by Wilmar Shiras), mutants born with a range of disfigurements, powers, and abilities “protect a world that fears and hates them.” The basic premise seems fine at first, until you delve deeper into it. The X-Men, primarily under longtime writer Chris Claremont’s decades-long stewardship, evolved into an allegory for bigotry. Most noted in this is the graphic novel “God Loves, Man Kills” by Claremont and artist Brent Anderson. First published in 1982, it introduces the world to the right Reverend William Stryker and his Purifiers, a hate group that kills mutants simply for the crime of existing. It attempts to draw parallels between racial bigotry and mutant persecution, with Charles Xavier and Erik Magnus “Magneto” Lensherr placed on opposite sides of the divide. The comparisons usually made are to the late Rev. Dr. Martin Luther King Jr. and Malcolm X, two people who were prominent in the civil-rights movement of the 1960s. Like King and Malcolm X, Professor X and Magneto have different approaches toward what they see as the place of mutants in society. That’s where the narrative always fell apart for me. Malcolm and Dr. King were not adversaries; in fact, the only real difference between them was how they approached the self-defense of black people. Toward the end of both of their lives — each tragically cut short by assassinations that were all too prevalent at that time — Dr. King became more militant as Malcolm became more moderate in his beliefs. The parallels really didn’t hold true with what drove the X-Men as a narrative for so long, but it leads to a larger problem. The idea of the X-Men is that they were separate from society, feared for being different. However, that never quite made any sense in a universe filled with gods and monsters. Originally, the X-Men were a team of young, beautiful white teenagers. Even their disfigurements were minor. Warren Worthington III, otherwise known as Angel for the wings that adorned his back, could fold his wings under his clothing. Scott Summers, Cyclops, was also supposedly tragically afflicted by a power he couldn’t control. Firing concussive-force blasts from his eyes, they could be held back by a pair of stylish ruby quartz sunglasses. The only thing that separated these characters from characters like Thor, Ant-Man and Captain America was how they introduced themselves. If Angel had lied, said he was an actual angel from heaven, or an alien from another world sent to protect humanity, no one would have been able to tell. The only thing that made the X-Men outcasts was the fact they wore black-and-yellow uniforms with “X” logos on them and openly referred to themselves as mutant. The only difference between Iceman and Spider-Man is branding. 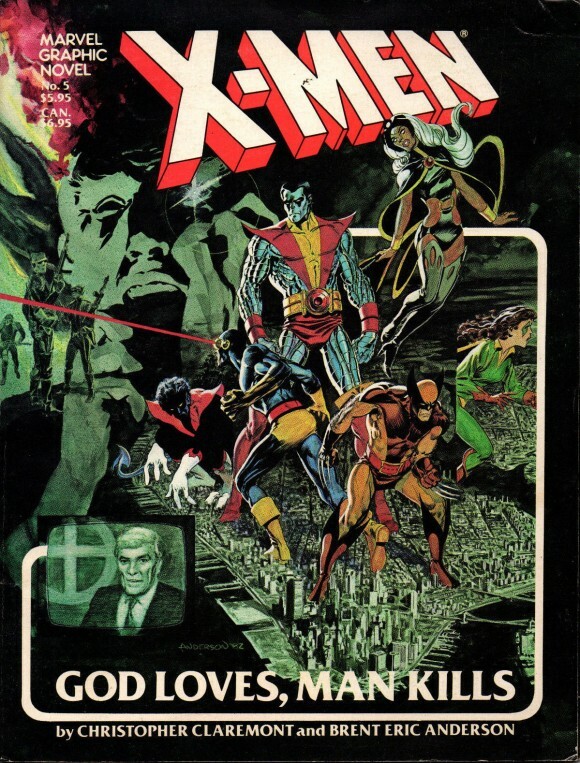 The original team would eventually be replaced by members like Wolverine, Nightcrawler, Storm and Colossus, all stunningly designed by the late Dave Cockrum. Here’s the thing that never made sense to me, and over the years it’s only become more pronounced: Even the most “inhuman” looking X-Men of the time, Nightcrawler and the Beast, were ladykillers with long-term girlfriends. In a world where one of the most celebrated heroes is the Thing from the Fantastic Four, the very idea that a monstrous-looking mutant couldn’t be seen as a hero is patently ridiculous. The average X-Men character can walk around without being bothered, since all of them, with the exception of the few characters of color like Storm, Bishop, Cecilia Reyes and Roberto “Sunspot” DaCosta, are primarily white. But what if you couldn’t hide, simply because of the color of your skin? What if you lived in a world where a teenager has been gunned down in a Walmart for carrying a pellet gun while talking on the phone? Or a 12-year-old, gunned down in a park by the police for no reason other than it was “reasonable” to believe the officer who killed the boy saw him as a threat. What if, under the specter of all of that, the world discovers there is a group of beings with the power to level entire city blocks? That the very same maligned underclass that has risen up under the banner of “Black Lives Matter” were the only ones who could access these abilities? What if 13 percent of the population had the ability to change an entire world? 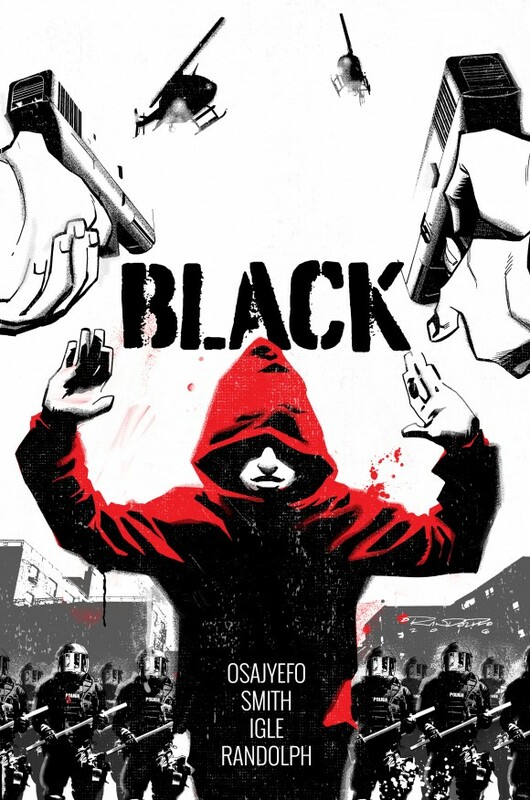 Black is a brand-new series, written by Kwanza Osajyefo, that explores that idea. Set in modern-day America, Black follows a teenager named Kareem, who is tragically gunned down by the police while walking home from a pickup basketball game. That’s where the story begins — as Kareem enters a world he never imagined, where the threat isn’t just about saving the day: It’s about survival, true survival, in a world already slanted against African-Americans. It’s something that I’ve decided to actively pursue for my career at this stage and like my other creator-owned projects Molly Danger and Venture, Black explores a theme that I find both compelling and personal. I love the superhero concept in general, I always have. With Black, Kareem’s struggle reaches back to my past and into a present that is constantly with me as a black man in the United States. It’s not hard for me to see the world through Kareem’s eyes. When I was younger, I saw my fair share of tragedy growing up in 1980s Flatbush. I’ve also had my own run-ins with overzealous policemen. I’ve “fit the profile” on more than one occasion. We are in a very precarious time, culturally speaking. In film and television, the recent controversies involving the Oscars not having any nominees of color has once again pushed the need for diversity to the fore. That inclusiveness should not be an afterthought, but a matter of normalcy. The need for characters, heroes that we can identify with on a visceral level, has never been more important than it is now. 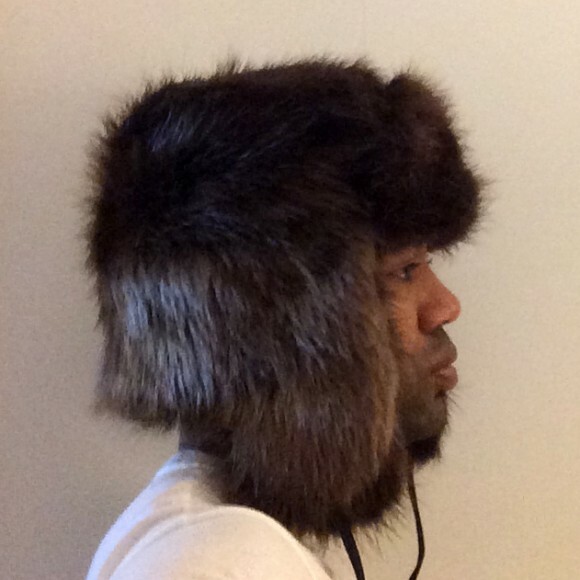 When Kwanza showed me what he wanted to do, I knew that I had to be involved. I’m also joining a team of consummate professionals, from series designer Tim Smith 3, to cover artist Khary Randolph, to editor Sarah Litt. 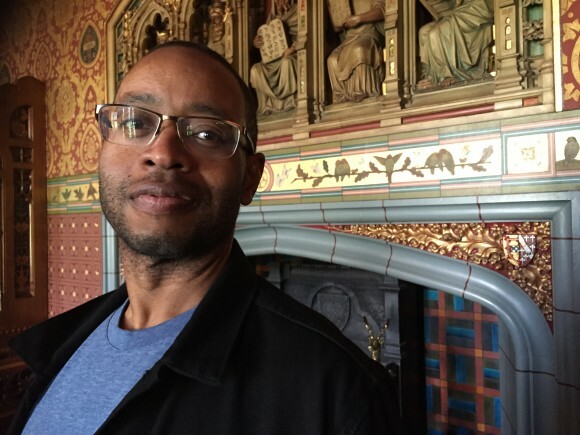 Kwanza himself is responsible for the success of DC Comics’ web imprint, Zuda, a forerunner to their current digital initiative. People that I know, that I’ve worked with and respect, and I’m looking forward to the ride. The Kickstarter for Black has launched, and I hope you take a look. 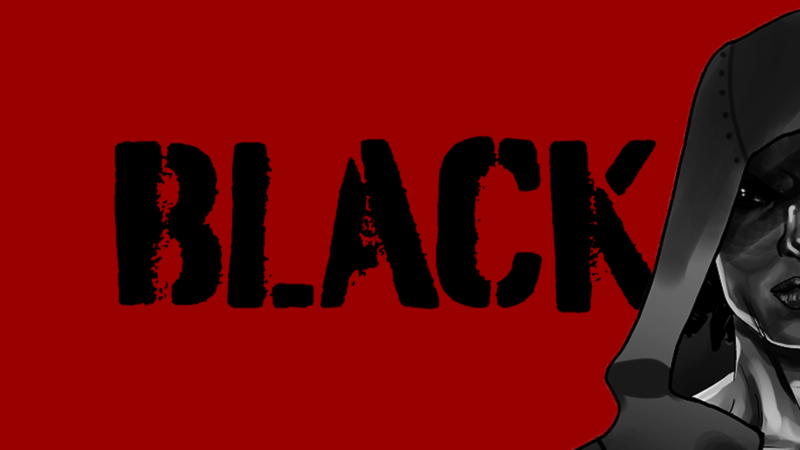 Pledge if you can, spread the word, and let the world know that Black is coming.